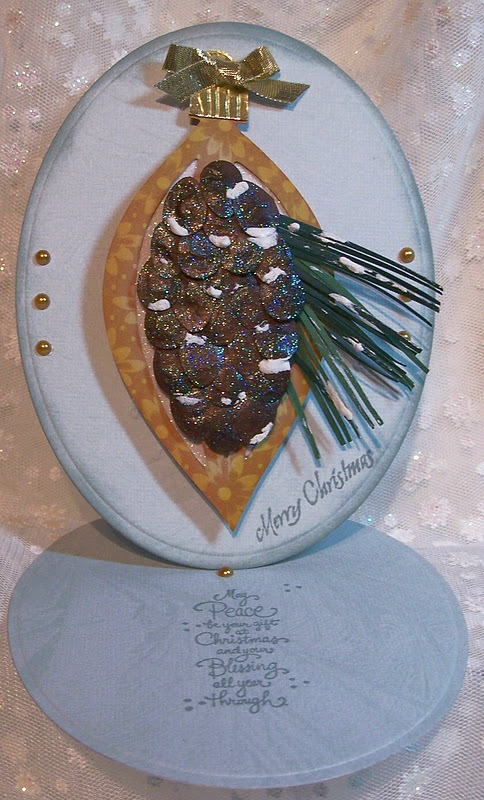 TODAY'S IDEA IS TO MAKE A PINE CONE TO DECORATE CARDS WITH. Close up of the pine cone. I saw this pine cone on this blog site. found a small egg punch and used that. 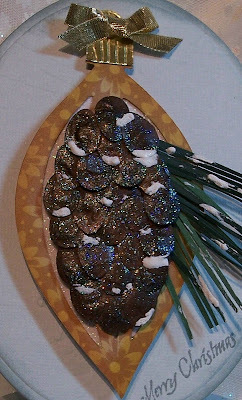 snow accents on the pine cone. This is a great accent for cards, and fun to make. you have made this beautiful sue. Hey that's pretty kewl. I would never have thought of making my own pinecone. Outstanding! What a fabulous job you did on this one. The colors, the embellishments, everything is just great. I really like where you placed your sentiment.